Bone broth walks the line between food and medicine in a way that few other foods do. It is super affordable to make, too! A few years ago, when I heard the term “bone broth” getting thrown around for the first time, my initial thought was um, isn’t chicken broth already made with bones? 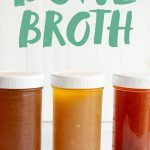 It wasn’t until about a year ago that I found out that bone broth is different from regular chicken stock because it uses a long cooking time to extract as much nutrition out of the bones as possible. Basically, regular chicken stock uses the bones for flavor. Bone broth uses the bones for flavor and nutrition. The resulting broth from long-simmering is totally delicious, of course, but even beyond that, it’s a powerful nutritional supplement. In fact, I only started making bone broth regularly after two separate doctors (one crunchy granola doc and one decidedly not crunchy granola doc) recommended I start having at least a cup of it a day as part of my Lyme treatment protocol. Bone broth walks the line between food and medicine in a way that few other foods do. And it certainly tastes a lot better than most medicines do! It’s loaded with gelatin. 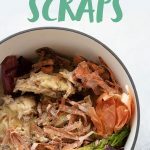 The slow and low cooking helps to release the gelatin—which is a broken down version of collagen—that is in the connective tissues and bones you use. Why is this a good thing? Well, major important areas of our body (like the lining of our gut and our own connective tissues and joints) are made from collagen—in fact, about 25% of our body is made of collagen! 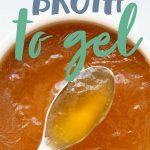 Some folks use gelatin or collagen supplements, but bone broth is another effective (and affordable) way to get your gelatin and collagen. Making sure you get an adequate supply of collagen has a ton of health benefits like helping you sleep better, making your skin more supple, protecting your gut lining, and making your joints less achy. It’s easy to digest. 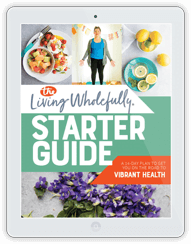 Sometimes the roughage of a huge salad is good for you, but sometimes—especially if you are fighting digestive disorders or your immune system isn’t up to snuff—easy-to-digest foods are the way to go. 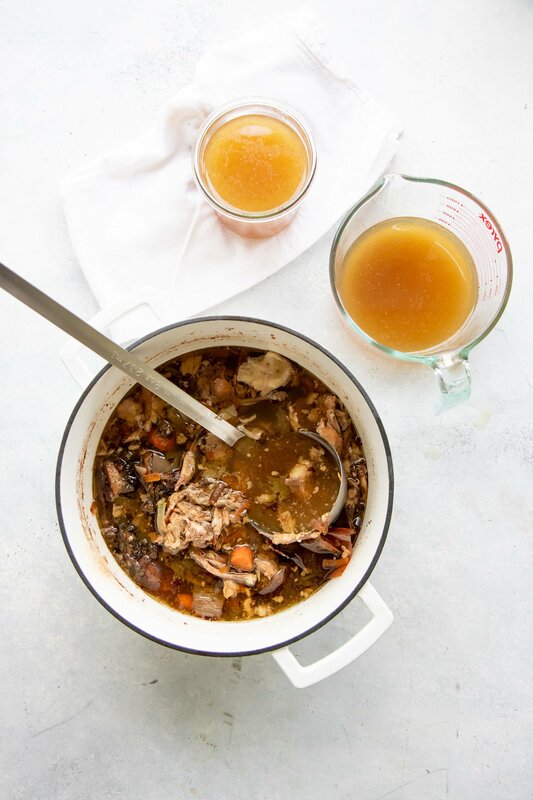 Bone broth is a wonderful marriage of easy-to-digest but still nutritionally powerful. 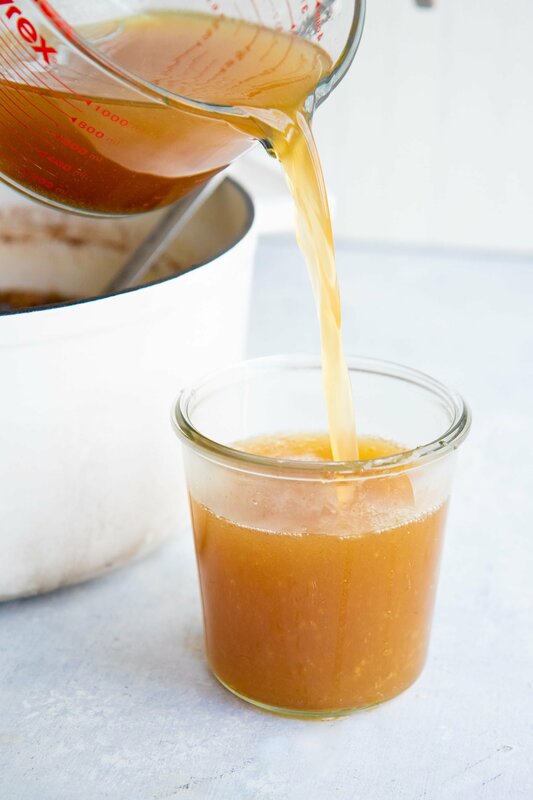 You can use bone broth just like you would any other stock or broth. Use it as the base of soups. Use it to cook grains. Use it to make casseroles. 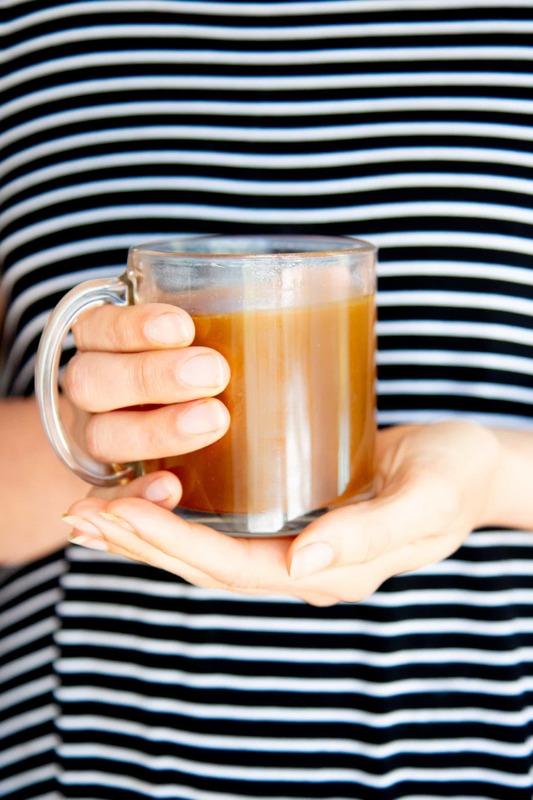 Many bone broth fans also prefer to drink bone broth straight—as a sipping broth. The long-simmering of the broth gives it a complex, rich flavor that is cozy, comforting, and warm. 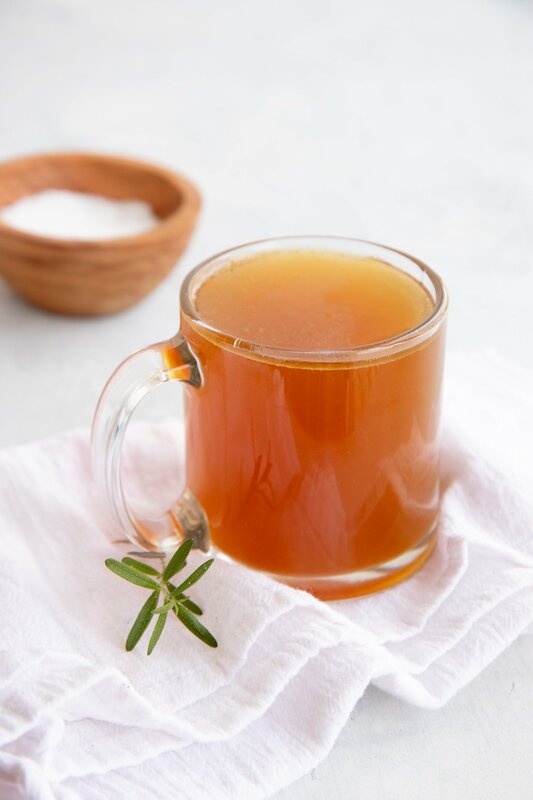 I personally love having bone broth as a nightcap! 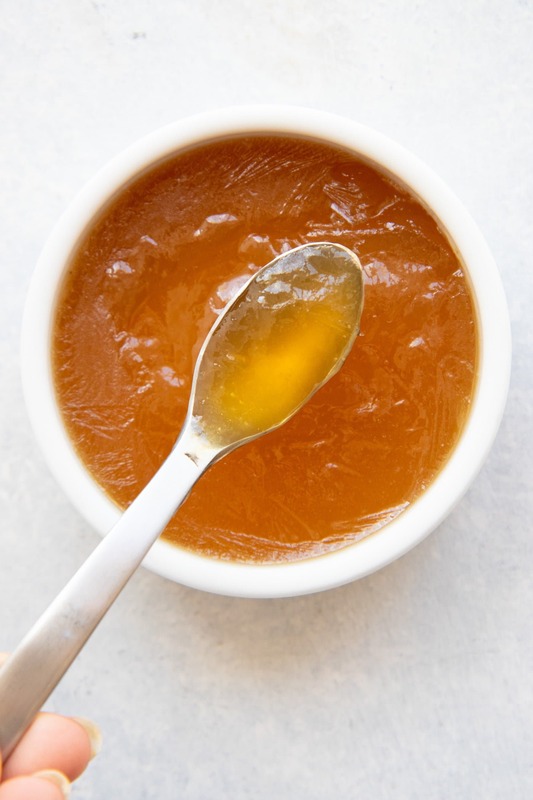 The gelatin in the broth helps promote a restful night’s sleep, which makes it the perfect before bed drink. 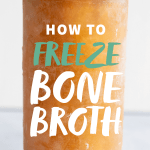 Of course, you can also freeze your bone broth—which is something I do regularly. 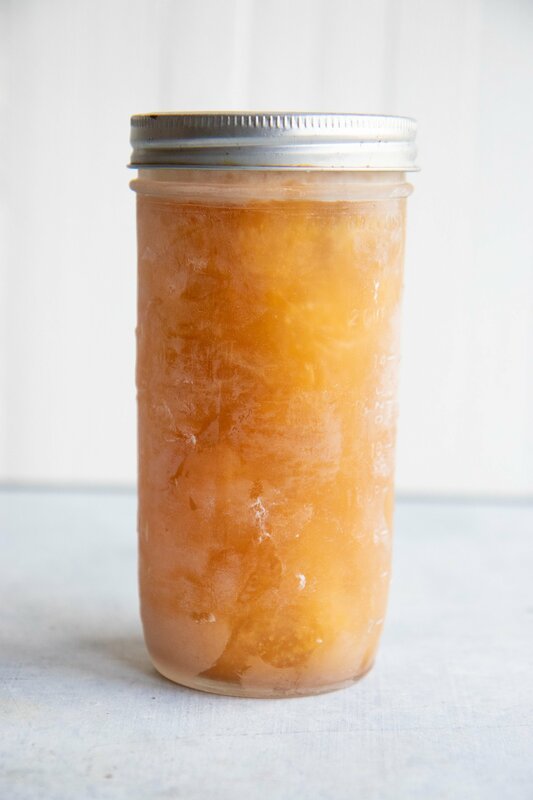 I prefer to avoid plastic when it comes to my food, so I use wide mouth pint-and-a-half Mason glass jars to freeze my bone broth. 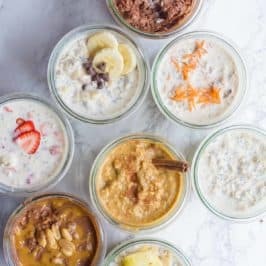 These are the largest Mason jars that are freezer-friendly, and the three cup measure works really well for all my cooking and sipping needs. Unfortunately, the pint-and-a-halfs can be hard to track down sometimes, so wide mouth pints are a good alternative. Just fill to the freezer line on the jar, put on a cap, label, and stash it in the freezer until needed. You can buy bone broth now at most larger supermarkets, but the convenience comes at a hefty price—about $6 a quart. Good thing it’s easy and super affordable to make bone broth at home! If you’ve ever made chicken stock before, the process is almost exactly the same, the main difference being you just simmer your broth a lot longer. You can use bones from any animal, but the most common are chicken or beef. In our house, we only make beef bone broth occasionally, and when we do, we head to our local health food store and pick up grass-fed local beef soup bones. Then I roast them (roasting gives a nice flavor), and turn them into beef bone broth. Much more frequently though, we make chicken bone broth. Mostly because it is an almost completely “free” endeavor for us! Each week, we roast a chicken. The carcass from that chicken goes directly into a batch of bone broth. 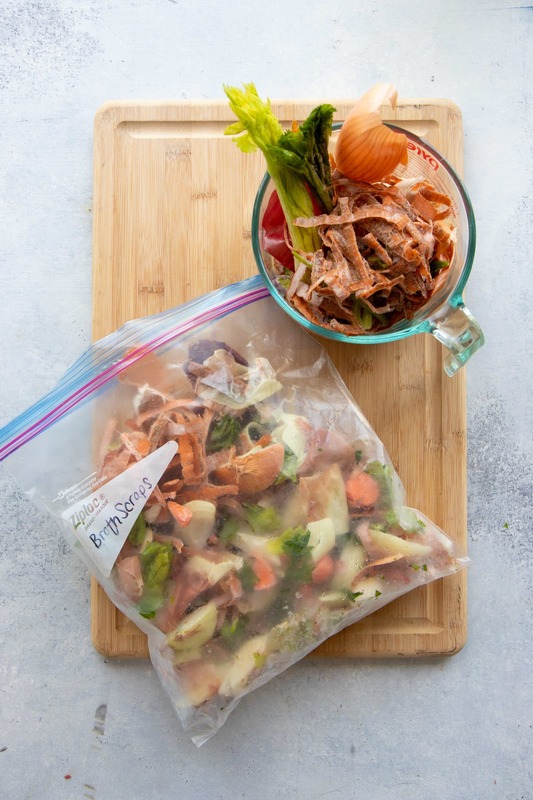 We add in some veggie scraps that we’ve saved in a bag in the freezer (mostly just onions, celery, carrots, and garlic), apple cider vinegar (this helps to release the nutrients in the bones), salt, peppercorns, bay leaves, and water. 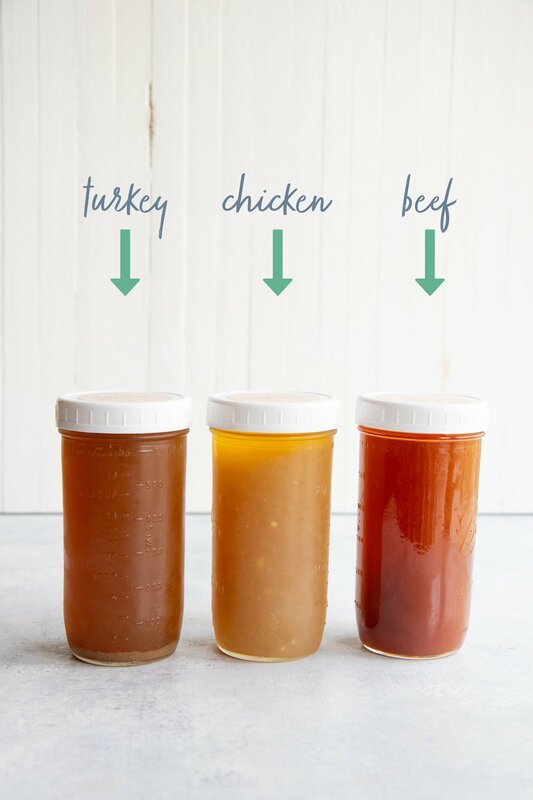 I usually make my chicken bone broth either in the Instant Pot (instructions below) or on the stovetop if my Instant Pot is otherwise occupied (stovetop instructions also below). You can also do it in your slow cooker (and yes, those instructions are also below). After two hours in the Instant Pot or about 24 hours on the stovetop, I have chicken bone broth! I strain it using a fine mesh sieve and then pour into jars for freezing. A layer of fat will solidify at the top of the broth after chilling—you can scoop that off and use it like any other cooking oil. I like to use it to sauté onions! 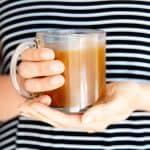 Once you’ve nailed down your perfect pot of bone broth, you’ll always have that at your disposal, but there might be some trial-and-error along the way. 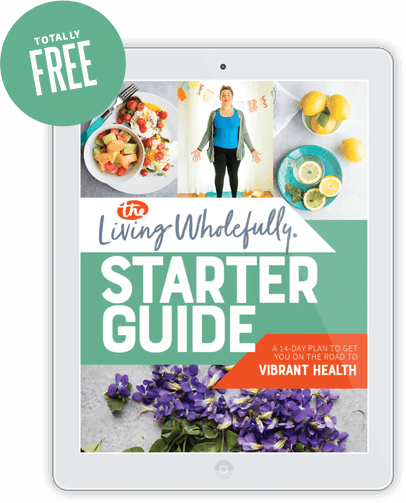 Let me cover some of the questions I had when I first started bone broth-ing. My bone broth looks all cloudy/milky! What’s wrong? When bone broth is boiled at too high of a temperature for too long, it can get a milky/cloudy appearance to it. I have this happen whenever I use my slow cooker, because it runs a bit too hot. There is nothing wrong with the broth—it’s fine to use—it just doesn’t look great. Next time, just lower the temperature a little bit. My broth is cooking and there is a lot of foam coming up! What do I do? Foam on the top of cooking broth is just impurities in the bones coming out. Just take a slotted spoon and scoop it off. I’ve noticed that I see almost no foam when I use bones from pasture-raised/grass-fed animals. 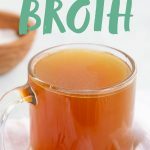 My bone broth didn’t gel! Whomp. Whomp. Nothing like all that work to get bone broth that doesn’t gel. But don’t worry! The broth is still packed with all kinds of nutrition—even if it isn’t super high in gelatin. 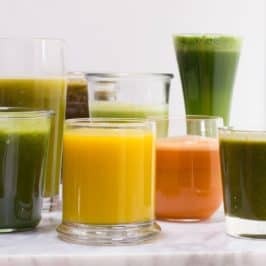 To make sure your bone broth gels every time, make sure to include bones that have connective tissues. Feet, knuckles, necks, backs, joints, etc. You’ll be amazed at how affordably you can buy these usually unwanted bones from your local butcher or farm. We keep a bag of chicken feet in our freezer for just this purpose (and for dog treats!). I throw one or two chicken feet into each batch of broth, and it gels perfectly every time. My main reason for drinking bone broth is to help with joint pain associated with Lyme disease. The bacteria that cause Lyme actually feeds on the collagen in joints (which is why severe joint pain is a common Lyme symptom). When I keep up with my daily bone broth habit, I feel noticeably less achiness and stiffness in my knees, hips, and rib cage. I have genetically weak knees, and I plan on keeping up with bone broth to help keep my knees as happy and healthy as long as possible! Enjoy! In a large soup pan or Dutch oven, place the bones, apple cider vinegar, carrots, onions, celery, bay leaves, peppercorns, and salt. Fill pot with filtered water until it covers the bones by about an inch. Bring to a simmer over medium-high heat, then reduce heat to as low as your stove will go. You want it to just be barely bubbling. Cover with the lid slightly ajar and cook for 24 hours for poultry bones and 48 hours for red meat bones. If cooking overnight on the stove makes you nervous, you can place the whole pot (covered) in the fridge overnight, and restart the cooking time in the morning. 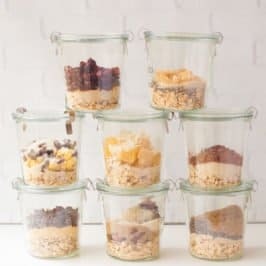 When cooking time is up, strain through a fine mesh sieve, and transfer to jars for storing in the fridge or freezer. Once chilled, the broth should be jiggly and have a layer of fat on top. Scrape off the fat and use it for other purposes. 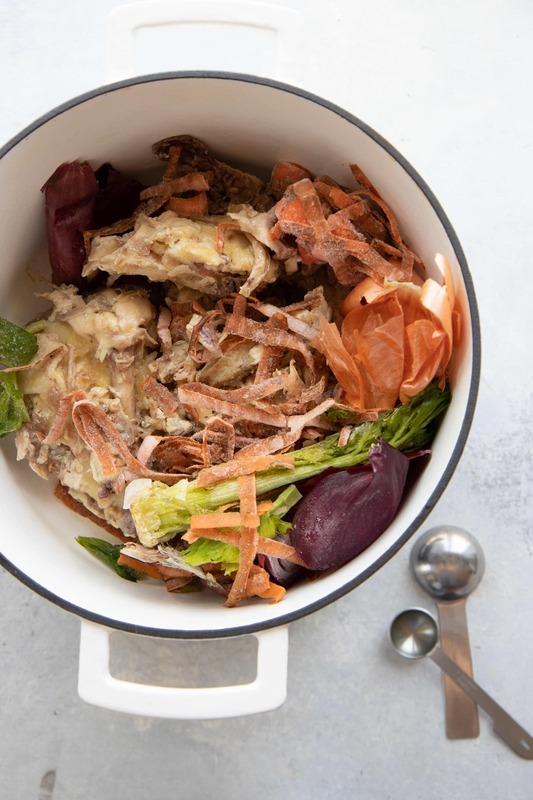 In the basin of an Instant Pot, place the bones, apple cider vinegar, carrots, onions, celery, bay leaves, peppercorns, and salt. 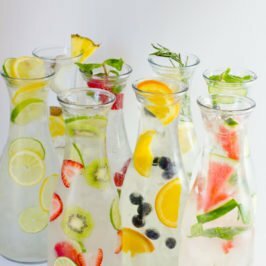 Fill pot with filtered water until it covers the bones by about an inch (or to the max fill line on the Instant Pot—whichever comes first). Close lid and turn knob to sealing, set to cook on low pressure for 2 hours for poultry bones or 4 hours for red meat bones. When time is up, let the pressure release naturally. Strain broth through a fine mesh sieve, and transfer to jars for storing in the fridge or freezer. In the basin of a slow cooker, place the bones, apple cider vinegar, carrots, onions, celery, bay leaves, peppercorns, and salt. Cover with the lid slightly ajar, and cook on low for 24 hours for poultry bones and 48 hours for red meat bones. If using red meat bones (beef, lamb, etc.) 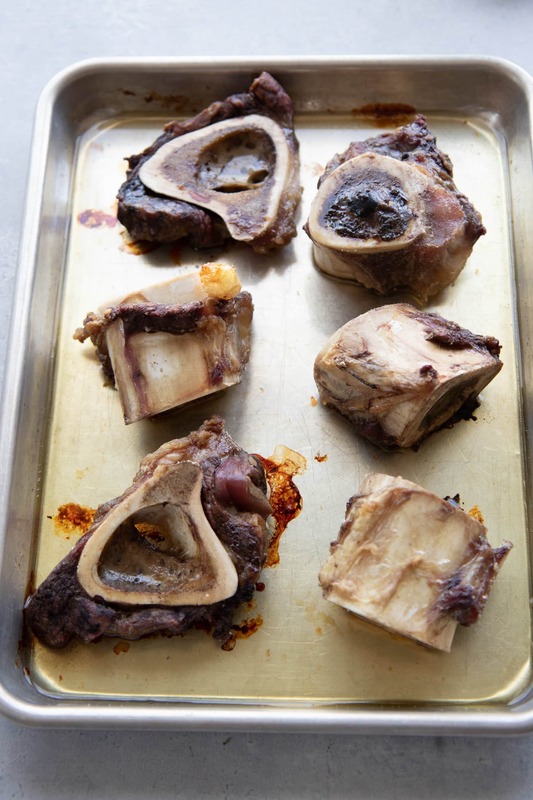 roast the bones in a 425º oven for 25-30 minutes for the best flavor. When making beef broth, I like to add in 2 tablespoons of soy sauce or coconut aminos, 1 cup roughly chopped mushrooms, and about 2 tablespoons of tomato paste—this helps create a richer flavor. 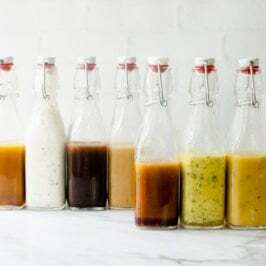 Some folks prefer to let their bones soak in the ACV/water mixture for 30-60 minutes before starting to cook to get a jumpstart on the vinegar bringing the nutrients out of the bones. I almost never do this, but feel free to! I tend to avoid putting garlic in my bone broth because it can be very overpowering when cooked for that long. If you do want to add garlic, add a single clove in the last hour or so of cooking. Yes! I have been waiting on this post for a long time!! Thank you for sharing this. Got an instant pot for xmas and have made broth in it already, but wasn’t sure what the differences were between all the different broths/stocks. 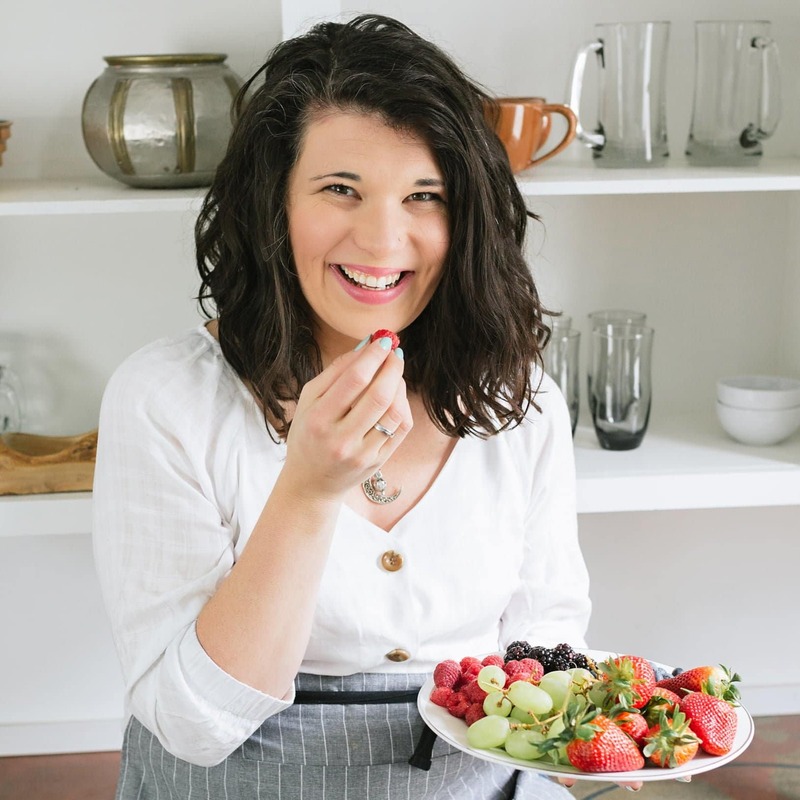 I knew bone broth was good for you – but wasn’t aware of just HOW good! Should more water be added if it boils away below the bone? Yes, you can always add more, although, I’d recommend keeping the simmer low enough to not really evaporate much at all. Thanks!